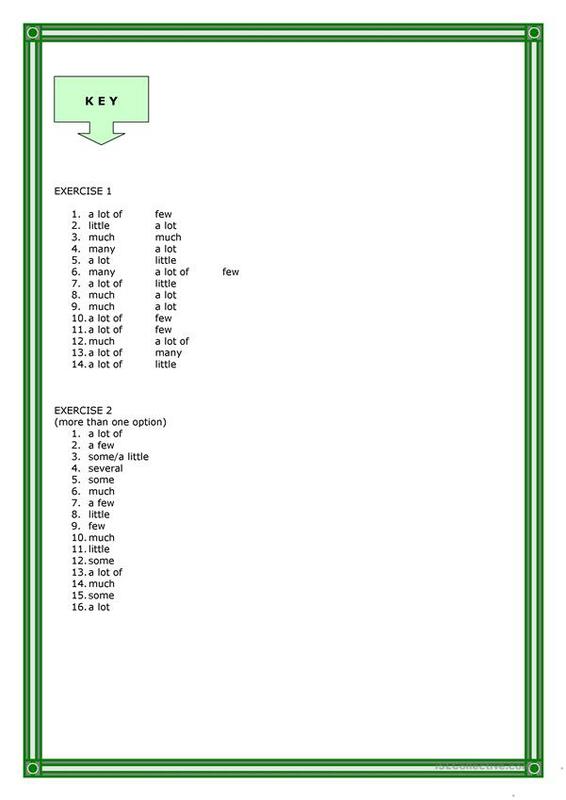 The present printable, downloadable handout is recommended for high school students and elementary school students at Elementary (A1), Pre-intermediate (A2) and Intermediate (B1) level. 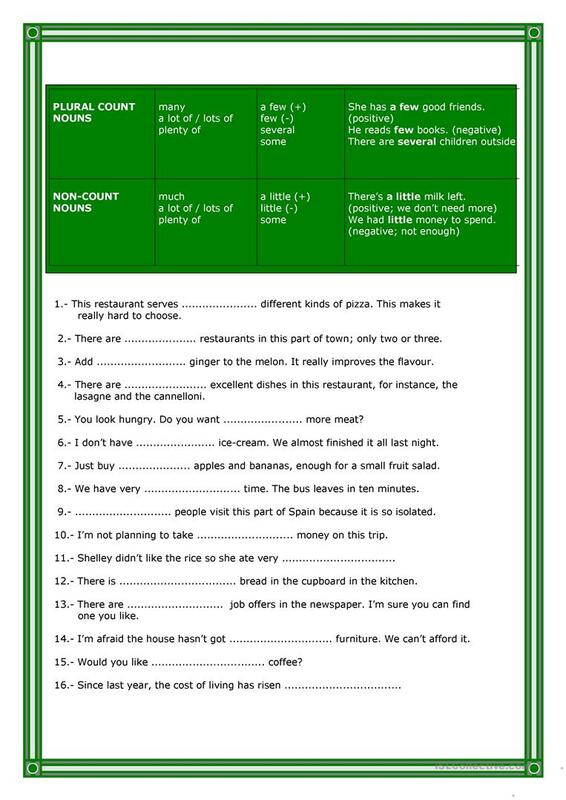 It is a useful material for consolidating Quantifiers (e.g. 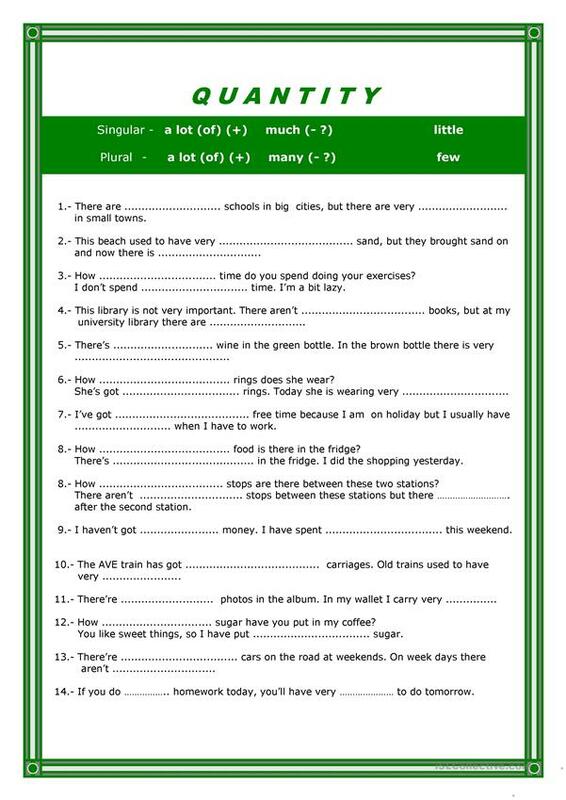 some, many, much, any, few, little) in English, and is a valuable material for enhancing your learners' Reading and Writing skills. The exercises come with the solutions.